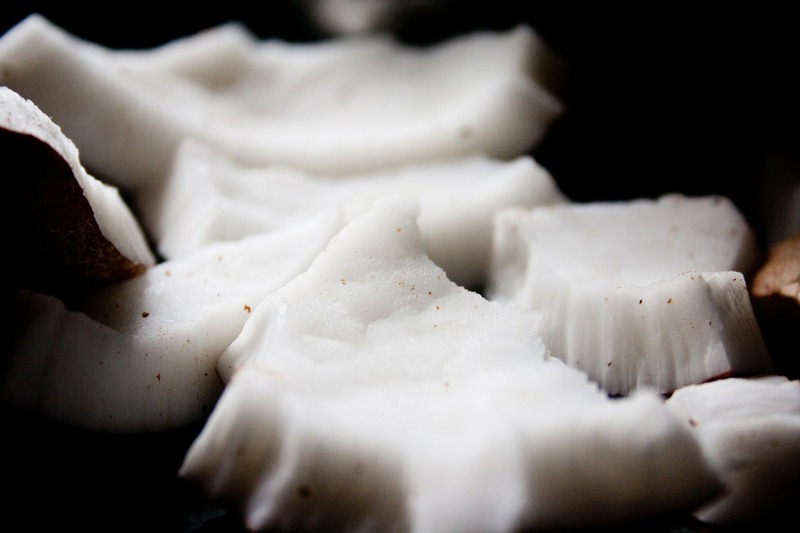 Ok, so I’m not a poet, or a song writer, but I did want to take this opportunity to talk with you about “coconut oil pulling”, what it is, how to do it, and most importantly the results I’ve seen from pulling coconut oil. Oil pulling is an Ayurveda (Indian) practice for oral health and detoxification that has been passed down for thousands of years. I was reading some articles on oil pulling a few months ago, and what intrigued me was a small, for want of a better phrase, “side effect” that was reported by a number of people that were advocates of this practice. People reported they were experiencing an “over production” of saliva. Well, for people living with Sjogrens this is a side effect we can use. Sjogrens patients who suffer from dry month produce 50% less saliva then those who do not have the autoimmune disease. Saliva aids the ability to clear food particles from our teeth; facilitates the ability to break down food for easier digestion; clear bacteria from our mouth; acts as a natural acid neutralizer; has antibacterial properties and that’s the short list. Several studies recommend increasing saliva production to improve oral and digestive health. So, I put the theory to the test and started oil pulling with coconut oil. I used one tablespoon of unrefined, cold pressed, virgin coconut oil and swished it in my mouth for up to 20 minutes a day followed by brushing my teeth. It’s not as bad as it first sounds, and you quickly get used to the different sensation that having a tablespoon of oil in your mouth brings. I started with 10 minutes and by the end of the first week was up to 20 minutes. It has become part of my daily morning routine. Tip: it’s easier to complete 20 minutes if you do something else at the same time, I found I can shower, get ready, catch up on emails etc., so hardly notice the time go by. 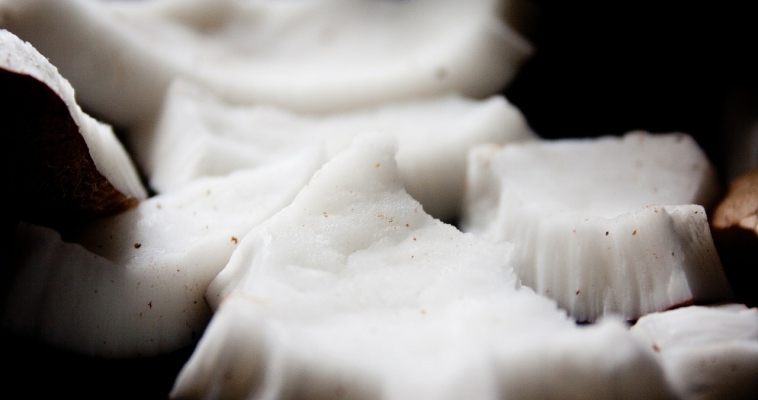 The coconut oil pulling benefits were everything I could ask for and more. By the end of the first week I noticed my mouth wasn’t as dry and, as an additional benefit, my teeth were whiter. Now, I know the power of a placebo effect and I tend be a bit of skeptic. I needed real proof before I shared this revelation with you. My proof came in the form of my dentist at my next scheduled cleaning a month after I started oil pulling. The hygienist wanted to know what I was doing because my mouth looked “normal”. The dentist confirmed it. It was also the quickest cleaning I’ve ever had. Have to love that! When I told them I had started pulling coconut oil they both started to do it themselves. My dentist was fully aware of all the benefits, but never realized the positive impact it could have for someone with dry mouth. My dentist now recommends it as a beneficial practice for oral hygiene going forward. The interesting thing is it’s the “side effect” that allowed me to make the correlation. I have always been good at looking at features and benefits of various concepts, pulling those parts of each that demonstrate value and adapt it in a customized approach to each unique situation. These are types of health and wellness stories that I will continue to share with you and invite you to share your stories too. 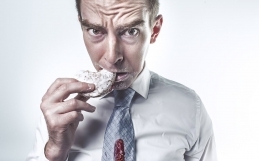 What “unforeseen’ benefits have you discovered in your journey to healthier living? Each step you take towards healthier living is All Just Choice. *Side note: some people experience teeth sensitivity when they first do oil pulling. I experienced this myself for the first couple of weeks. My research indicates this is part of the detoxification process and effects some people more than others. Rinsing your mouth with salt water afterward helps. In addition, reduce the amount of time (example: 10 minutes) to give your body time to adjust. My key piece of advice has always been,"time does not stand still". You can choose to make a change or do nothing. The one constant is time will move forward. So the question becomes, where do you want to be in a week, a month or a year from now? Regardless of the choice, time will still have passed. What choice will you make?Leveraging my experience in transforming my health along with certifications in change management, process re-engineering and nutritional therapy, I designed a healthy weight loss program with the flexibility to allow us to work together to define a strategy which is best for YOU.Whether you’re looking at weight loss or prevention, improving symptoms from a current illness or a combination of both, my goal is to provide you with tools, education and support to integrate healthy choices into your daily routine. A program where the duration and pace is set to allow YOU to adapt to each change to support YOUR changes for life. 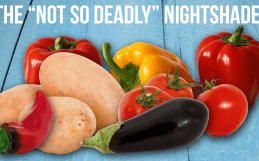 Do “Not So Deadly” Nightshades Cause Inflammation and Pain? 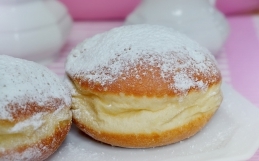 How Do Carbs Increase Hunger and Make You Fat?